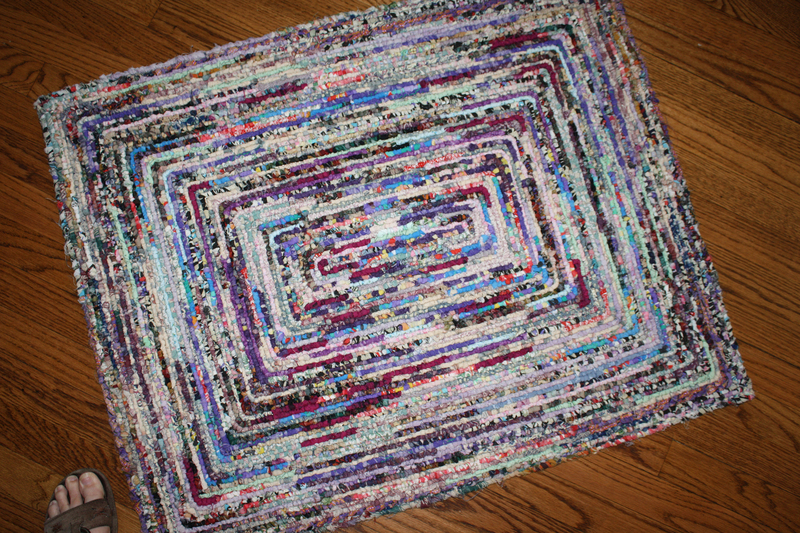 This is the second quilt in my new “Through the Year” block of the month series. He is a companion to Santa. 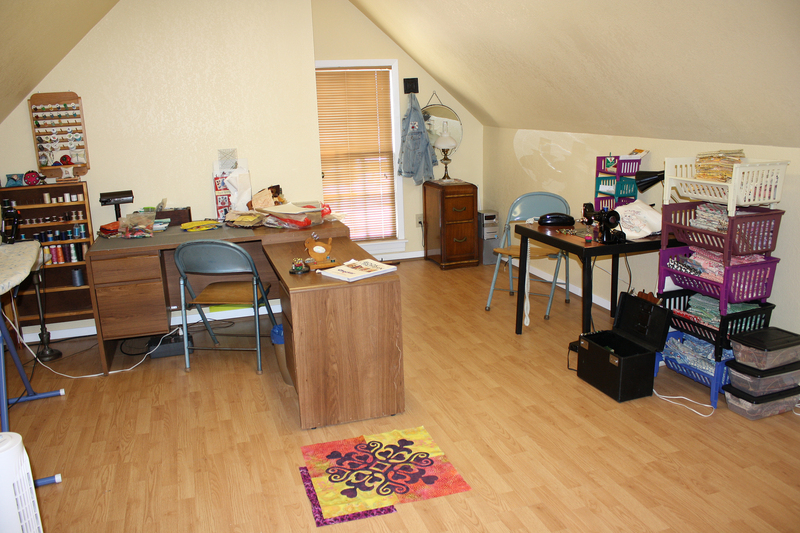 The program will eventually include five quilts that will all finish the same size so that you will be able to switch them out throughout the year. Scarecrow is very fun to make and he includes lots of extras. The patches on his face and hat are raw edge applique, and his eyes and the buttons on his flannel shirt are real buttons. 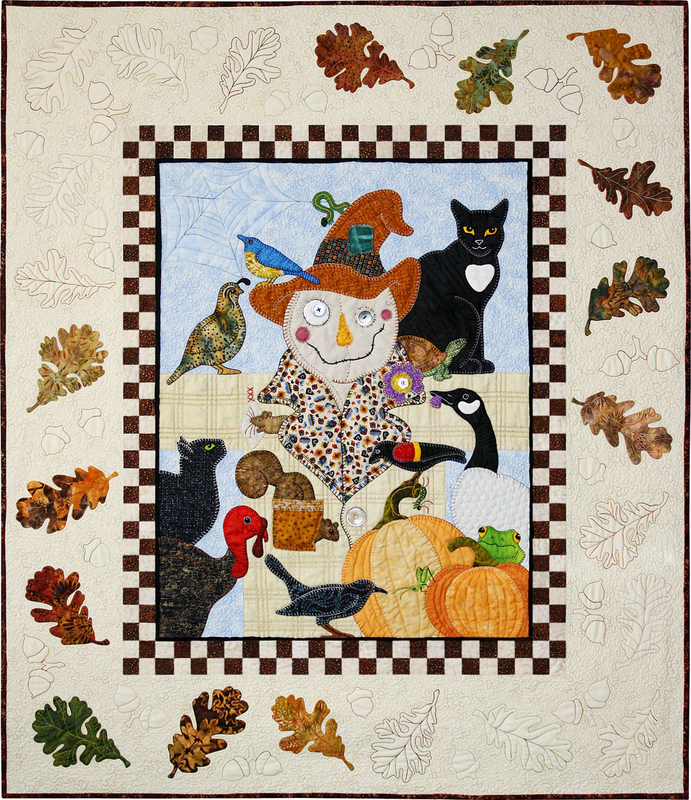 The spider web is sewn into the upper left corner in the quilting and there are extra quilted textures in the goose and pumpkins. The squirrel is peeking through a ripped pocket and a mouse is darting into a hole in the flannel shirt to escape from the cat. 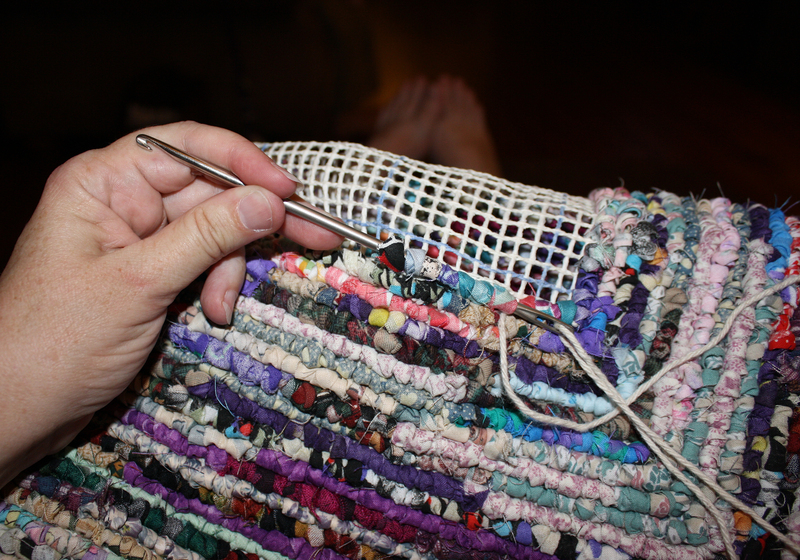 The outer border can be made from one of two different kits. 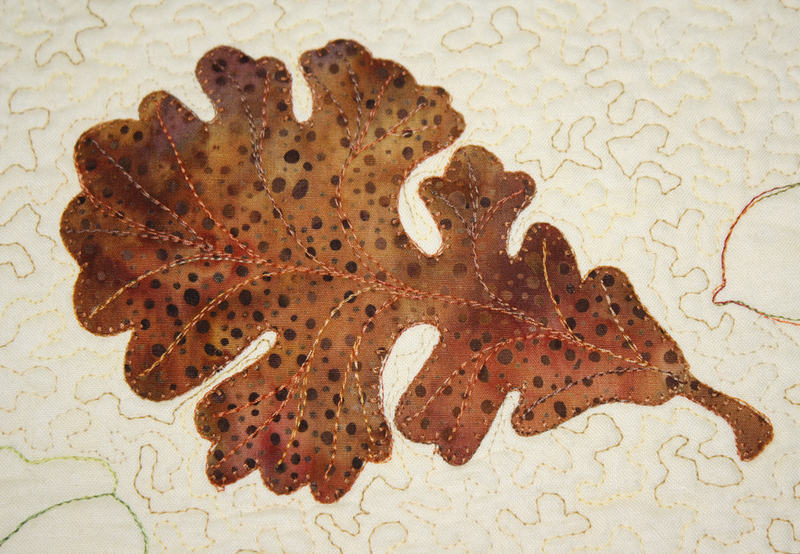 You can applique and quilt the leaves as I did in the larger photo or you can get the busy printed leaf fabric for the outer border. 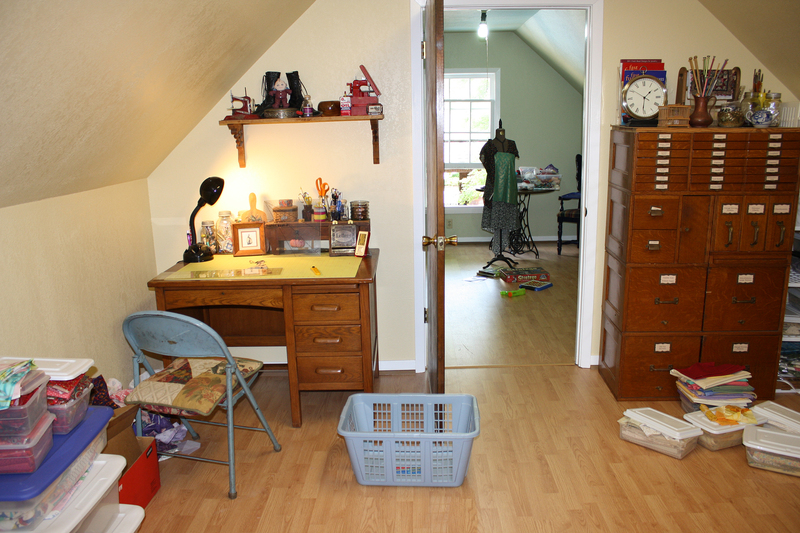 These pattern kits are $17.50 per month and this price includes all the fabric to make that month’s animals. They are available through Timberlake Quilts. 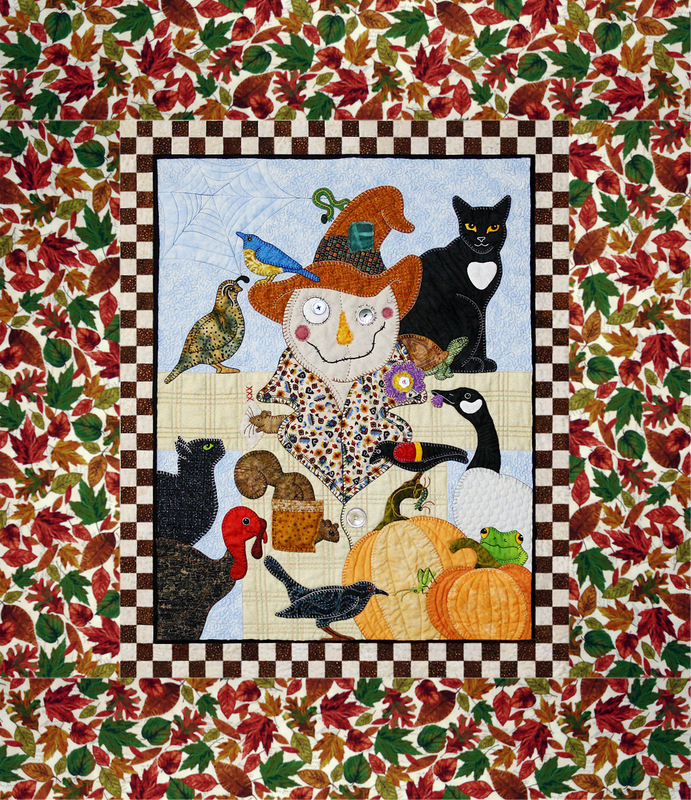 The animals included in this quilt are: quail, bluebird, Canada goose, red-winged blackbird, crow, turkey, squirrel, two cats, frog, turtle, mouse, inchworm, caterpillar, and grasshopper. 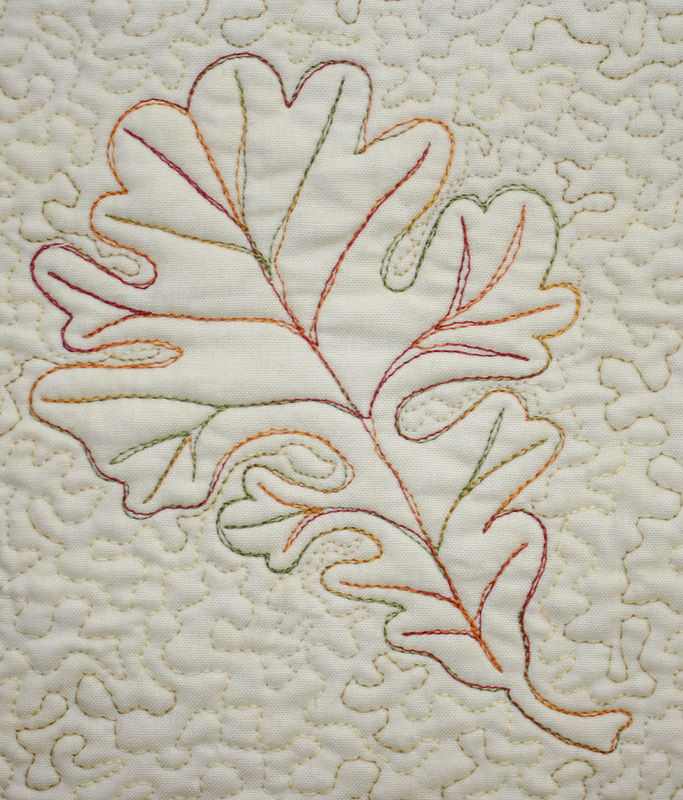 Two things that I learned while making this quilt: 1.) that thing that dangles down off a turkey’s nose is called a “gobble”. 2.) that thing that is on a quail’s head is actually feathers and is called a “topknot”. 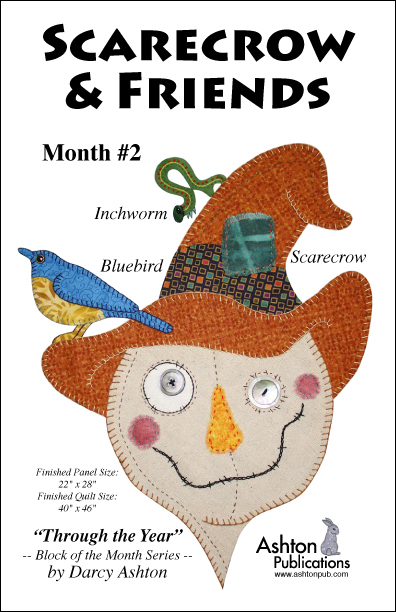 This entry was posted in Block of the Month, Fabric Kits, Patterns, Timberlake and tagged BOM, halloween, holidays, patterns, pumpkin, Santa, Scarecrow, squirrel, timberlake. Bookmark the permalink.